Sport provision at Market Rasen De Aston and Caistor Yarborough will not be included when West Lindsey looks to renew its management contract. The contract, currently held by Everyone Active, runs out in May 2018 and three sites currently in operation - De Aston, Yarborough and one in Gainsborough - will all be missing from the new tender. Speaking at Caistor Town Council’s August meeting, Karen Whitfield, leisure and culture manager, said the decision was made on usage. “There were 1,765 visitors at Caistor for the whole year, which works out at about 35 visitors a week,” she said. “De Aston was used more, about 21,500 visitors a year, but that is not enough on a commercial basis. “Both sites are just open outside school times so have limited opportunity to develop. Other sporting opportunities are available at Caistor and Coun Alan Caine said he also knew of a commercial gym looking to open in the town. Good news, however, has come to Market Rasen, with West Lindsey exploring new plans to deliver sports and leisure facilities in the town. The council has undertaken an assessment of leisure need within the district, which has been linked to the Central Lincolnshire Local Plan and the authority believes there is an opportunity to explore a dry leisure facility. 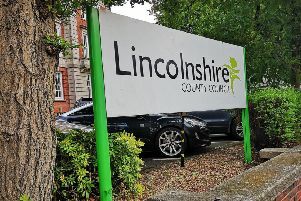 Coun Sheila Bibb, Chairman of the Prosperous Communities Committee, said: “This is a very exciting prospect for West Lindsey District Council who have been aware for some time that there is a need for leisure development in Market Rasen. “Initial feasibility work has shown that the town could support a dry leisure facility. “However, we need to remember that all councils are operating in very economically challenging times. With the council’s current contract coming to an end and subject to further feasibility work, the council is investigating whether a potential new facility could form part of a new leisure contract. The council is working closely with Market Rasen Town Council to see how these plans and the on-going work to refurbish the Festival Hall in the town can complement each other. The Festival Hall has been making good progress, with an increase in bookings, more public events, better publicity and investment in stage lights. Market Rasen Mayor, John Matthews, is pleased to see the two councils working together. “The next stage of the (Festival Hall) project is all about building on this work to put together bids for the funding which we need to modernize and refurbish the venue. “By working alongside the district council we will maximize our chances of securing funding to help the hall see it through the next 50 years. “I am delighted to see West Lindsey’s expression of commitment to Market Rasen as the base for a future Leisure Centre. Centre usage - Sporting provision at De Aston and Caistor Yarborough has been going for a number of years. Do you use the facility? What will the change mean to you? Other sports - Both Market Rasen and Caistor have sports clubs in the towns. Will the changes impact on them or will it mean people will be looking to them for ways of keeping fit?